Coordinate your flights with ease. 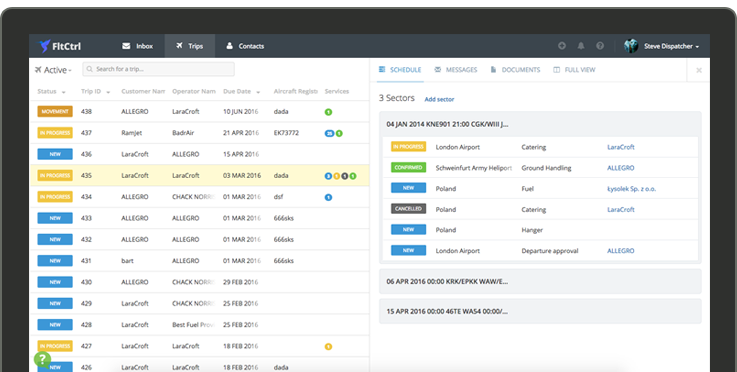 FlightControl will help your team handle flight operations. Store emails and docs, manage schedule, book services, process permits, bills and invoices - all within one app. Manage all flights in one app. Collaborate with your whole team within FltCtrl to improve the efficiency of your organization. FltCtrl allows for all your people, documents, flights and resources to be managed through one interface.